multicultural and social justice oriented book reviews with fun stuff in between. for kids, by a kid! "I've never seen my father cry before. He wasn't crying like I thought a man would cry. Everything was just pouring out of him and I hated to see his face. What did I do? What did I do?" Sixteen-year-old Steve Harmon is on trial for supposedly being involved in a robbery that ended in the death of a convenience store owner. He is convicted of being a lookout in the crime, but the question throughout the book is if he is truly guilty or if he is just caught in the wrong place at the wrong time. Walter Dean Myers' "Monster" changed my perception of prison life, proposed many intriguing questions about the American judicial system, and put me in a position where I could relate to a character I have very little to nothing in common with. Although the plot of this story could sound alluring to any type of reader, the format of the writing likely will make or break the book for the reader. Steve is beginning to imagine his life and predicament as a movie, and he decides to write it as such in his journal, which he is allowed to keep while in prison during trial. The text literally reads like a movie script. As someone with a passion for film and writing, I found this composition to add to the uniqueness of the book and it made a more interesting read. However, I feel that if it had been written in a more "traditional" way, I would have enjoyed the book even more. I understand the idea of having your book stand out through a unique style of writing, but in this case I feel it wasn't necessary, though it did help make the long scenes of dialogue in court easier to follow without becoming confusing or boring. Race and socio-economic class play a huge roll in this story. Steve is a young black man from a impoverished, high-crime area of the city, and the jury may be prejudice against him. The author creates this vulnerable, fearful character in a terrifying situation. As a reader, I was able to relate even though I had never actually been in a situation such as Steve's. Almost all of the book is set in court, listening to witnesses, attorneys and suspects, and for the most part the only time we hear Steve talking is through his monologue journal entries, though there are some conversations between him and other people. Information is dealt out slowly and somewhat sparingly throughout the text, and especially in the beginning it is hard to tell if Steve is truly innocent or not. As a reader, it is all about opinion, and there are many decisions you have to make both intentionally and involuntarily about the case to get your answers, much like a member of the jury, the overriding question in the book being: what did Steve do? I recommend this book for ages 12 and up. 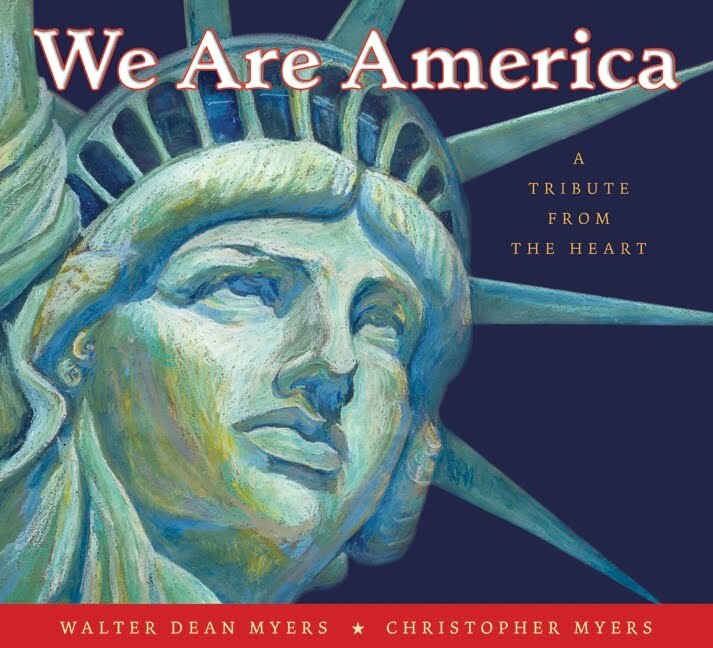 Written by the award-winning author of "Monster" in a timeline of gorgeous, moving poetry and illustrations, Walter Dean Myers says, "Writing 'We Are America' has been a journey not of discovery, but of rediscovery." This book is a beautiful combination of art and history woven into one, from the British arriving in America, to Americans fighting for equality in the 1960s. Myers' son, Christopher Myers, offers illustrations that portray the emotions of each sequence of time included in the book, and work well parallel to his father's writing. I believe one of the best ways to learn about history is through real peoples' viewpoints, seeing through their eyes and imagining how they viewed this world at their time, and Myers does just that through this picture book. Along with quotations from a variety of historical and/or political figures (i.e. Abraham Lincoln, Frederick Douglass, Edward Johnson) the book mixes historical fiction with real history, to give you a piece of writing spilling with information on America and its inhabitants from a variety of perspectives. A wonderful investment for any teacher, parent or student, "We Are America" is a timeless tale of our ever-evolving nation. Ages 9 and up. This story documents the horrific circus fire in Hartford, Conn., in 1944 that killed 168 people and injured more than 600. Told from a variety of viewpoints -- from the victims of the fire, to the witnesses, to the suspected arsonist -- Paul B. Janeczko writes in a simple yet eerie?manner that makes this series of poems haunting. The book brings light to an occurrence in history that isn't known?by many, but still is one of the worst fire-tragedies in America. 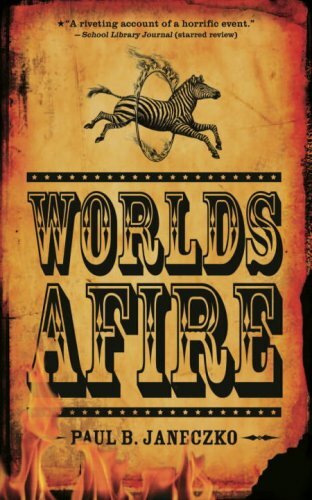 Enticing in its language, "Worlds Afire" is beautiful despite its horrific subject. 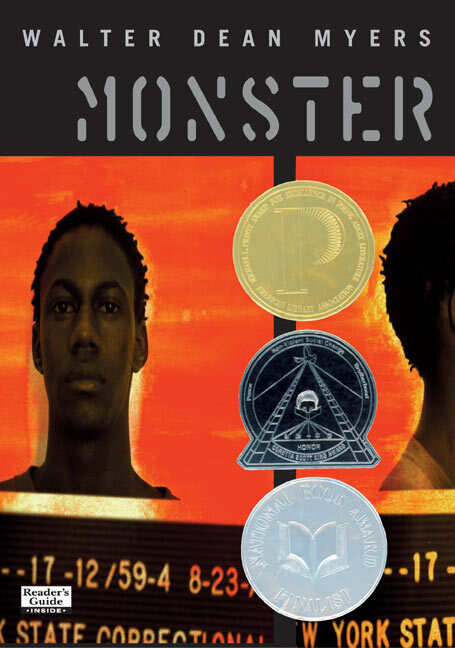 Locomotion is a brilliantly poignant story of tragedy, hope and healing from the perspective of 11-year-old Lonnie C. Motion (aka Locomotion), an orphaned boy who is learning how to navigate through the grief of losing his parents, being separated from his sister, and using poetry as a resource to showcase his thoughts and emotions. The book ebbs and flows in its language and plot development, and as you get deeper into the book, a variety of things are revealed therefore giving the reader a better image of the characters and their secrets, as well as the urban environment in which they live. Woodson has the ability to make your heart ache with a single sentence, and a unique sense of poetry that despite its "unconventional" nature (the majority of the poetry doesn't rhyme, etc.) it all works beautifully, each poem melting into the next. Lonnie's relationship with his teacher, Ms. Marcus, shares the remarkable bond between teacher and student that isn't often depicted in books, particularly those written for young adults. She changes his view of poetry through her gentle yet encouraging method of teaching, and she becomes almost like a maternal figure in Lonnie's creative life. The book manipulates the idea of the generic "family" upbringing, and instead Lonnie learns, grows and looks up to a variety of people the same way that a child does to their parents or siblings. ? I found this book to be a very thought-provoking read, and recommend it for ages 10 and up. Miles Halter is fascinated by people's last words, and when he is officially through leading his own dull life, Miles decides there is no use waiting until death to seek what Rabelais called the "Great Perhaps." So he steps away from his mischief-less, friendless, challenge-less life in Florida to attend boarding school in Alabama. His dirt-poor yet ingenious roommate, Chip, ironically names the tall and gawky Miles "Pudge," and teaches him, along with Chip's best friend, Alaska, how to take risks. Pudge, like every other boy at the school, immediately falls for the gorgeous, brilliant and mysteriously self-destructive Alaska, who launches him headfirst into this Great Perhaps that he had been seeking. 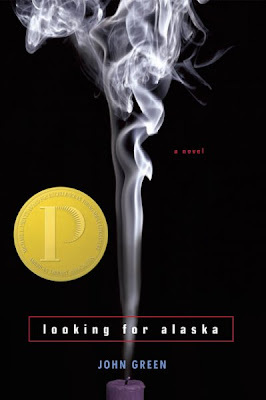 "Looking For Alaska" is absolutely flawless, with crisp, articulate language and stunningly realistic characters. It is a crooked love story that will appeal even to those who don't like romance, and has a deeply meaningful narrative that deals with life, death and the things in between. The story is told from the perspective of the cogitative Miles, whose desire for answers makes this book captivating up until the last page. The book is written in a unique "before and after" format, counting down the days to some unknown event that you as a reader only can guess, and then charting the days following. It is timed perfectly, delivering information in a discreet, half-foreshadowing manner while never revealing too much. Although the book is labeled as young adult, it deals with heavy issues, and sometimes very mature themes. It has been banned in multiple school districts, but it is all written in a very tasteful and somewhat artistic method that keeps it from being raunchy. I would recommend it for ninth-graders or older, more or less depending on their maturity level and the opinion of the child's parents. "Looking for Alaska" has immediately become one of my favorite young adult novels, and I can't wait to read more from this promising author. I can hardly believe we're already seven months into this year. Just when it felt like we'd just gotten through winter, we moved into summer. The Twilight Criterium, Human Rights Festival and AthFest just rolled by. In honor of these last weeks of the steamy Southern summer, here is a list of books for you and/or your children's enjoyment for reading at the beach, the pool or late into the humid nights. This book captures the essence of summer with colorful art inspired by the author's upbringing in Jamaica. Berry uses beautiful poetry written in what he calls his own "Caribbean Poem" style to depict growing up and being curious about the world as a young person. It's a delightful collection of writing, perfect for reading aloud together. 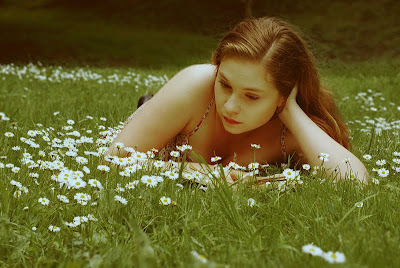 Summer is the time of year when the fairies are out and about, playing and laughing and vacationing just like you. "Fairy Houses ... Everywhere!" includes all sorts of magical real-life fairy houses, from the very simple to the extravagant, as well as an entire chapter devoted to tiny homes on the beach. Take this book for inspiration next time you're on a picnic, hike or for a day at the beach, and make a fairy house of your own. On a remote island off the Caribbean called Bananaland lives a man whom they call The Jolly Mon, whose sweet and beautiful singing carries throughout the land and brings joy to the people. The book is filled with striking, island-style illustrations and a magical and adventurous story. It's a charming read for the beach. A unique story written in a unique format about 15-year-old Rosie, who is desperate for excitement in her life. Half road story and half romance, with intriguing characters and scenarios, this book is a fun read with a serious plot, ideal for reading late into the night. Hollis Woods has been in so many foster homes she can't even remember all of them. Hollis has been in trouble with every family she's been with. But then she goes to Josie, an eccentric old artist, who changes Hollis' view on life. This is a touching novel about two artists who -- though they may seem rather different -- are both equally inspiring. It's an exceptional story with that mosquito bites and dirty fingernails feel of summer as a child. For those of you who have that one favorite shirt that is too hot for summer, there is hope. "Altered Clothing" shows how to take old and out-of-style clothes and turn them into modern DIY pieces. It's written by a professional and filled with photographic steps and before and after examples. Ideal for taking old winter-wear and making it into fashionable pieces for the summer. One of my favorite young-adult novels, "Kira-Kira" is an unforgettable story about poor Katie Takeshima, who moves from Iowa to Georgia, where her sister Lynn teaches her about people and things through her eyes. Lynn's way of perceiving the world is extraordinary, but when Lynn falls terribly ill, it's up to Katie to remind her family of the simple and beautiful things. An incomparable read that will move you up until the last word. 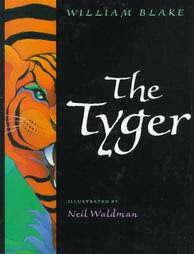 "Tyger Tyger, burning bright, In the forests of the night ..."
This fantastic book introduces kids to classic poetry using one of William Blake's most well-known and most studied pieces. Although Blake's original poem "The Tyger" (from his collection "Songs of Innocence and of Experience") was printed in 1795, it still is highly analyzed by literary critics and young readers alike. The poem coincides with beautiful paintings by Neil Waldman, in which he captures the spirit of the mysterious and clever tiger perfectly. The illustrations are mostly black and white, with bursts of orange, yellows, purples and greens that will draw the eyes of children as well as adults. Although the pictures aren't always parallel with the theme of the poem, they are intriguing nonetheless, with or without the writing. It's a great piece of literature that, though it has many metaphors children probably won't pick up on, has the flowing, charming nature that will keep them wanting more. CLICK ME! A collection of my columns for the Athens Banner Herald newspaper. Feel free to comment or shoot me an email and let me know what you think! grace is a weekly columnist for the athens-banner herald, where she puts out her thoughts on a variety of children's literature, particularly multicultural and social justice oriented. She lives in athens, GA with her family.